Pro Armor 3" harnesses feature sewn in pads & a water resistant cell phone pocket to hold your iPhone, Droid or MP3 player. The belts also come with a free LED Flashlight (mesh pocket for light with velcro closure) & adjustable sternum strap. 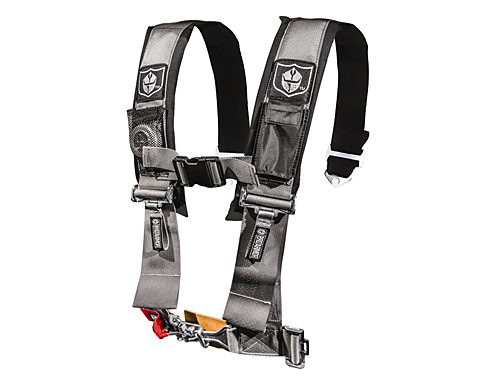 These harnesses are also easy in and easy out due to the fact the shoulder harnesses are sewn to the lap belts so less hardware & hassle for the latch and link system. Sewn together harnesses have passed all SFI testing but are not SFI certified for racing.